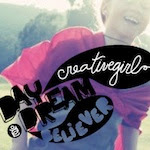 Check out the globe art by Wendy Gold of ImaginNations. 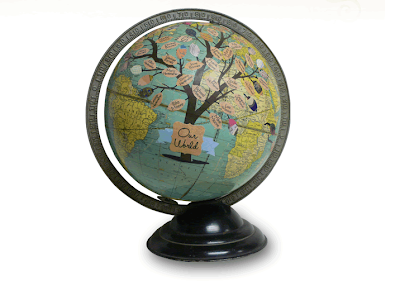 They are repurposing globes by creating personalized ones to fit your style or occassion. It's a pretty cool idea, I think with some mode podge and themed imagery it would be a really fun project to create over a weekend. I love the “Where the Wild Things Are” one. How fun would it be to have one for your travels or wedding theme? So cute!